Police officers stand at the end of a tram platform following a stabbing at Victoria Station in Manchester, Britain. 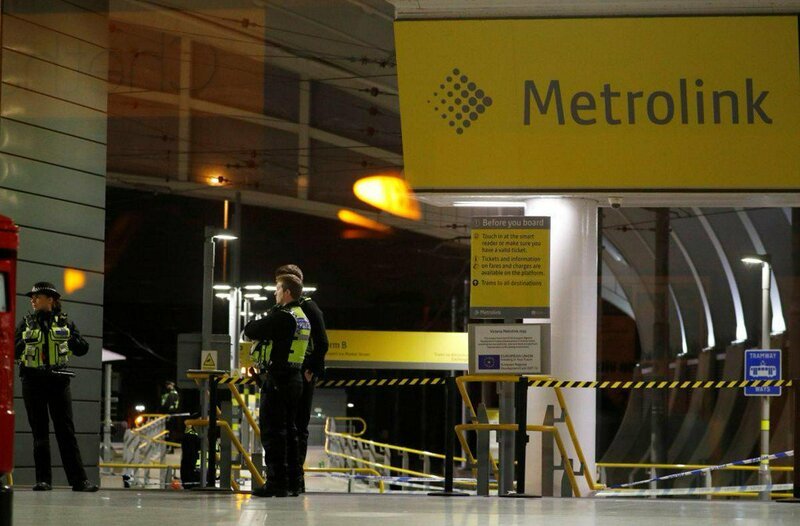 A man armed with a kitchen knife stabbed three people, including a police officer, at Manchester Victoria train station on New Year’s Eve in an attack police are treating as terrorism-related. A witness, a BBC producer who was at the station, said a man stabbed several people at the station, shouting Allah and linking his actions to bombings in other countries.